The holidays are filled with many great things and cocktails are among those. Filled with the tastes of the season and not lacking in spirit, these martinis will make festive additions to your holidays menus. Choose a couple recipes to serve at holiday parties, holiday dinners or any smaller gathering when a little extra Christmas cheer is in order. They are easy to mix up and fun to explore! 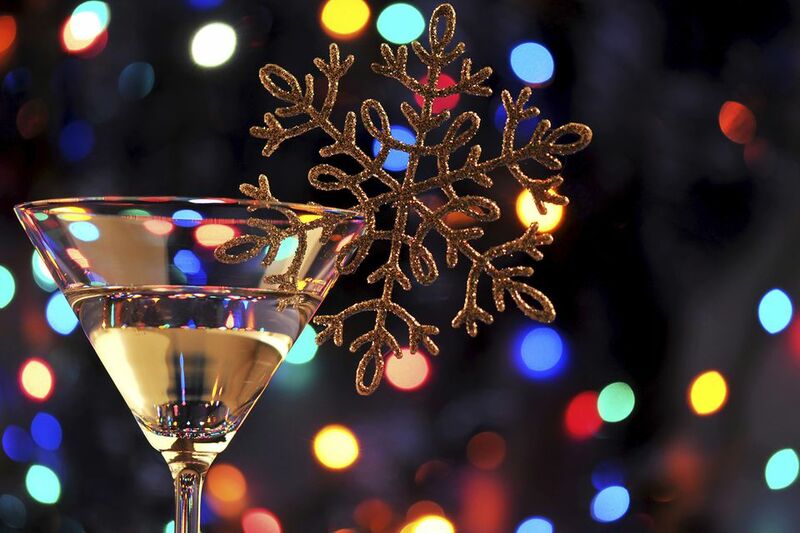 Filled with fruity flavors, this is a fun vodka martini that will have you in the holiday spirit in no time. 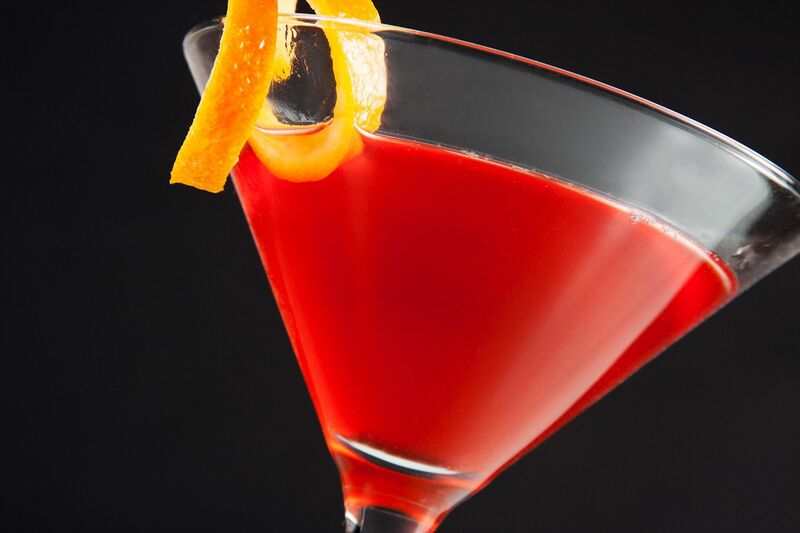 This beautiful blend of fruits begins with an impressive pomegranate vodka, which is accented by peach and orange. It is the ground cinnamon that really brings it into the Christmas season and makes it a drink to remember. This little pink drink has everything we love about the holidays, including a few twists. It is fun, delicious and a sweet little treat! The candy cane is a creamy cocktail with a fun mix of flavors. The recipe pairs the sweet fruit flavor of a berry vodka against that favorite combination of mint-chocolate. It creates ​a unique taste that you simply have to try for yourself. We do love to transform holiday treats into adult libations. If you're up for a real experimentation in flavor, this is the martini recipe for you. The Ginger Snap Martini has everything we love about its namesake, right down to the molasses. The mix includes pear vodka and amaretto with a fresh blend of holiday spices to create a fantastic seasonal cocktail. As we've seen in countless cocktails, chocolate and mint are the perfect pairing. Yet, there are times when it can use a little more dimension and that is where a cocktail like the Holiday Hopper comes in. The trick to this little delight is Midori, everyone's favorite green liqueur. The melon flavor puts a fascinating twist on a familiar taste and it works surprisingly well. If you're looking to break up your holiday dessert routine, this one will definitely do that. Chocolate martinis are great! They're irresistibly delicious and there are so many different recipes to choose from. So, if you're looking for a fun variation on the ordinary, have we got a recipe for you! The white chocolatini remains as simple as any other chocolate martini, and it's a creamy delight. It begins with a shot of vanilla vodka and uses a white chocolate liqueur, such as that from Godiva. Add a touch of cream and consider this yummy martini complete. Among the easiest cocktails of this collection, this mistletoe martini is simply delightful. If you enjoy the pure taste of a Crantini, then you will love what this recipe has to offer. To make it, all you need is your favorite vodka and a little orange juice. The star of this drink, however, is the cranberry tea, which transforms the ordinary into something very special. Another favorite holiday cookie and another cocktail inspiration is the Gingerbread Man-tini. This one takes a different approach and the only difficulty you may have is finding the gingerbread liqueur. Once you have that, however, it's very easy. More in the style of a traditional dry martini, this one mixes citrus vodka with dry vermouth and simple syrup. The combination allows that special liqueur to shine through without creating a drink that's overly sweet. Wish everyone a very, merry Christmas with this Very Berry Cosmo. It's a fun twist on the Cosmopolitan and a stunning cocktail that has some interesting flavors. As the name implies, this martini is filled with berries and it all begins with an acai-blueberry vodka. To that, sweet black raspberries and cranberries are added. The blueberry garnish is the finishing touch that puts a fresh spin on a winter delight. For something a little more unusual in the martini game, we're going to pour some rum and get a taste of a classic cocktail. The Winter Cocktail is a sweet and sour drink so it has a bit of a tropical flair. Though it is the ginger liqueur that makes it worthy of any holiday celebration. Add pimento dram for even more flavor and a winter warmer is yours to enjoy. It may not be a "martini," but it's hard to pass up this fancy little margarita, because it is perfect for the holidays. The Cranberry Margarita is a true delight and something every tequila lover can appreciate. Before you can mix up this cocktail, you'll need to do an infusion of apples and cinnamon in your favorite tequila. It takes about one week, so plan ahead. From there, it's as simple as adding triple sec and cranberry and lime juices.